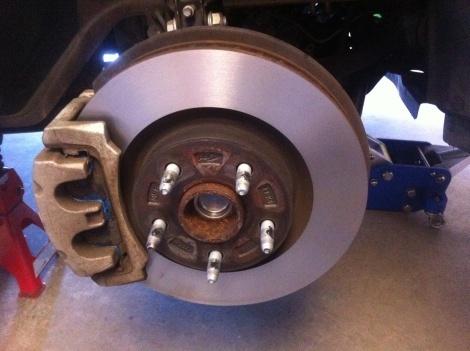 Customer had just purchased a 2009 Holden Ve SS Commodore Ute which had a pulsation and squeal when braking. Upon inspection we found it required machining of the front disc rotors, new disc pads and anti squeal. Repairs were carried out and like new again.